The Goode Intelligence Biometric Summit London 2018 on Thursday 21st June focuses on sharing the latest innovation in biometric technology through an afternoon of enlightening talks, workshops and moderated panels. In partnership with RANT Events, the summit is hosted by our Platinum Sponsor Stifel at their London offices in the heart of the city by St Paul’s. This outstanding opportunity to learn from experts and end-users brings together a select group of up to 65 senior leaders in cyber security, biometric technology specialists and prominent members from London’s banking and investment community for a power-packed afternoon. With two distinct and flexible tracks – investor and business – we make it easy for you to make the most effective use of your time. And, there will be plenty of opportunity for you to network with peers and make new contacts. You’ll also be able to earn Continuing Professional Education (CPE) credits through (ISC)² and ISACA. Hailed as being one of the fastest growing markets, biometrics is one of the most innovative areas in technology. If you’re a Fund Manager, Financial Researcher, Investment Banker or Lawyer with interests in emerging technology companies for early-stage private investment, M&A, IPO and institutional investment opportunities then our Investment Track is ideal for building knowledge and discovering the latest development in biometric technology. With industry attendees representing a mix of companies at various stages of development from private start-ups through to established, listed companies, there will be a number of advice, business acceleration and investment opportunities to explore. You’ll also be able to network with industry analysts, including access to Alan Goode, one of the world’s leading authorities on biometrics, CEOs of technology companies, end-users and experts to gain insight into what and where they are deploying. with him to see what he thinks the most exciting innovations in biometrics are at the moment, what’s likely to come in the future and where the greatest demand is for these technologies right now. 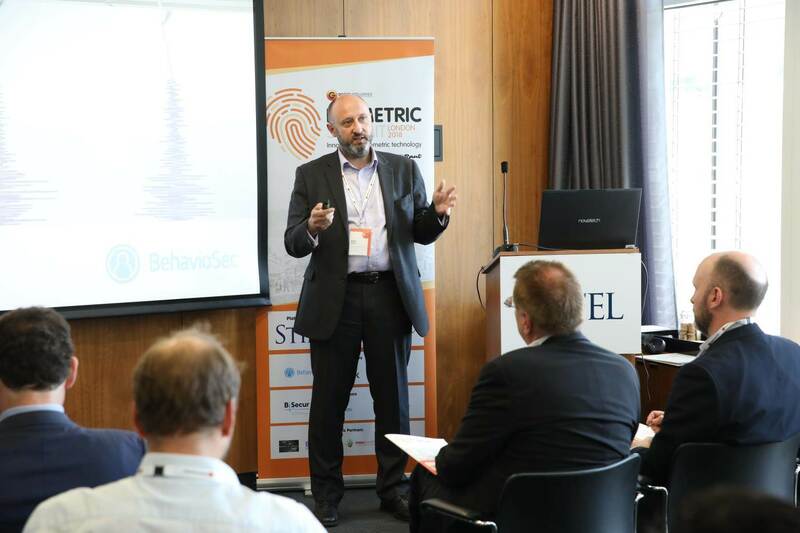 You can also read more about behavioural biometrics in our interview with Mark here. 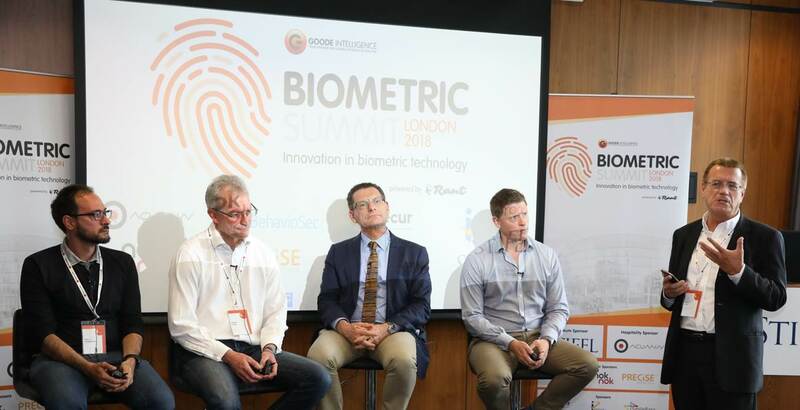 Three leading UK-based vendors presented at the Goode Intelligence Biometric Summit London 2018 to showcase UK biometrics. We spoke to their CEOs, Andrew Bud, iProov; Grant Crow, Smilepass and Alan Foreman, B-Secur to find out more about building technology companies in the UK and the challenges and opportunities in the biometrics industry. Read more here. The consumer biometric revolution was started by Apple with the arrival of Touch ID fingerprint authentication on the iPhone 5S in 2013. Since that leap billions of smartphones are shipped every year with touch fingerprint sensors as standard. 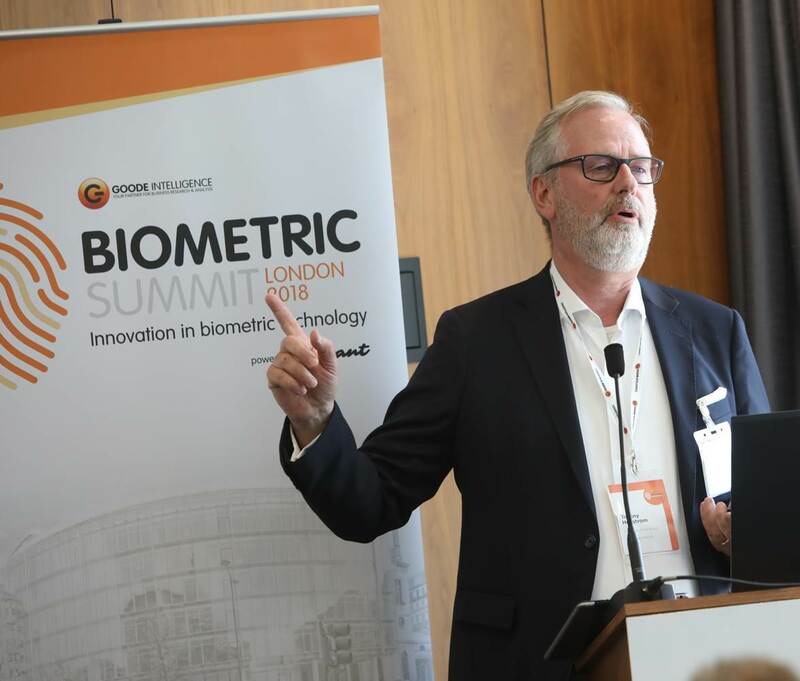 Torgny Hellström, Chairman of Precise Biometrics shared his views on market trends in fingerprint biometrics and the latest on the potentially explosive growth of biometric payment cards at the Goode Intelligence Biometric Summit London 2018. Read more here.